Jenet, Chizuru and Athena (KOF2002 UM style) released + updates. I also uploaded updated versions of Hotaru, Rugal, Shingo and Xiangfei. This is a first public release of my latest 3 works. These three are my most technical and innovative works in the last 3 years. - The first character to use 100% accurate collision and alignment data from KOFXI. 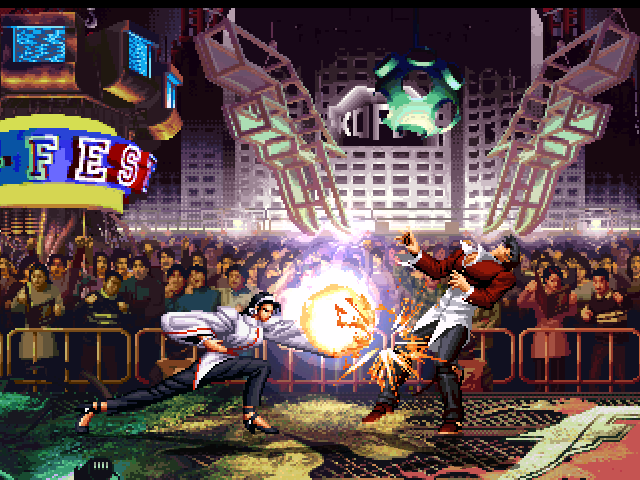 - Adapted to KOF2002UM style. 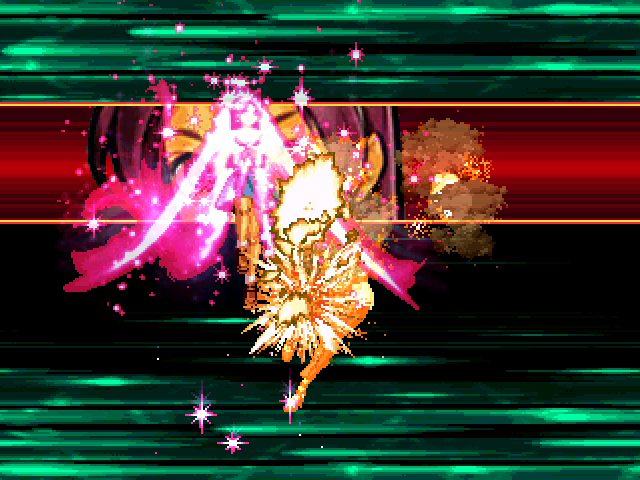 - HIGHLY technical character, the only accurate Chizuru in MUGEN. - Uses a new technique for cloning moves that simulates the behavior from the game. - This is the only Chizuru that accurately shares frame data with its clone. - Her sprite file was made with a completely new and non-standard technique. - Allows for compatibility with other characters for the sealing super. Users of a .vns-type buffering system can update to be compatible with an extremely easy copy-paste. 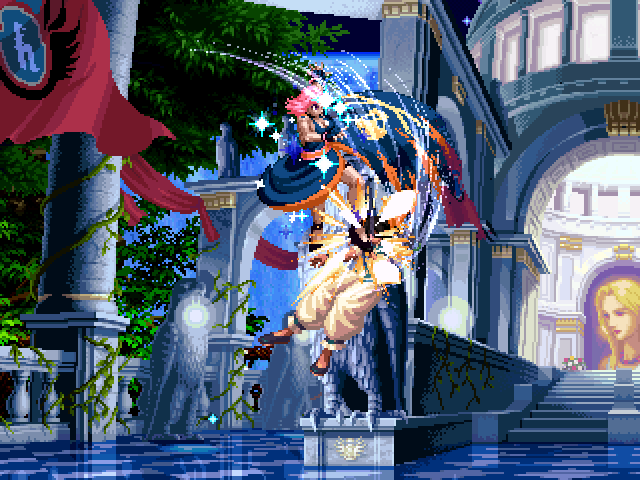 - Alignment and collision data is 100% accurate to KOFXI. 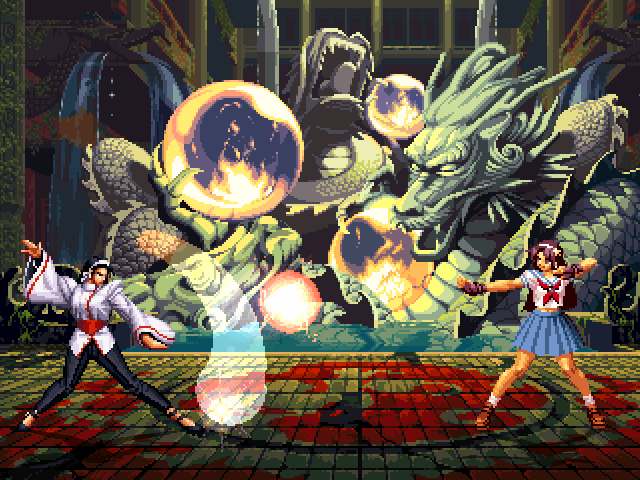 - Gameplay has been adapted to KOF2002UM style. - Her reflector is the basis for the projectile reflection system. - Makes use of the new technique for building sprite files. All of these updated (and released characters) are compatible with a new and revolutionary projectile reflection system. This system, divided into a reflector and a projectile portion, is capable of emulating proper projectile reflection in MUGEN! These characters are all compatible and provide examples of many of the most basic implementations of reflection. Within the code any and all parts of the reflector code are documented and logically labeled. This system is now supported by coders such as KoopaKoot, Jesuszilla and Kamekaze, who are in the process of updating projectile code to be compatible. A more in-depth guide of how to use this system is in the works.